A leading human rights group has challenged the NIO to “set the record straight” and admit it used political interference to deliberately alter the job criteria of the Police Ombudsman’s post in 2007 to ensure the position was filled by its favoured candidate Al Hutchinson. He was forced to resign and leave office early after a series of damning reports found major weaknesses in his leadership as police ombudsman. However the row over the Northern Ireland Office’s appointment of Al Hutchinson as ombudsman continues to cause controversy with the human rights group Committee on the Administration of Justice (CAJ) this morning publishing an open letter challenging the NIO to admit it mishandled the ombudsman’s appointment. 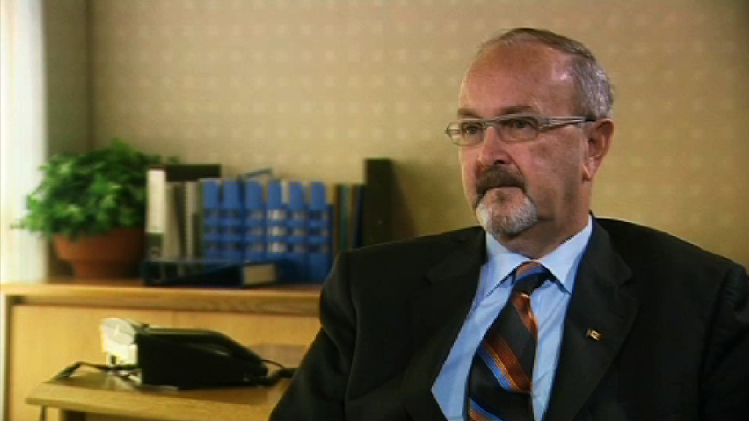 In March 2011 Sam Pollock resigned as chief executive of the Police Ombudsman’s Office for Northern Ireland (PONI) claiming that officials from the Department of Justice (DoJ) and Northern Ireland Office (NIO) had “interfered and meddled” in the affairs and governance of the ombudsman’s office. Mr Pollock’s resignation led to a series of investigations into the activities of the ombudsman’s office. In June 2011 CAJ published a highly critical report which raised a number of concerns surrounding the way in which the NIO had conducted the process to appoint a new ombudsman to replace Nuala O’Loan. One of the most serious allegations contained in the report was the claim that the NIO had altered the appointment’s process at the last minute to insert the requirement that applicants must have prior experience of working in Northern Ireland. The report further claimed that the NIO had later ignored standard government vetting procedures after Mr Hutchinson was appointed as ombudsman. The report was rejected by PONI as “unbalanced” while the NIO publicly claimed it contained “several significant inaccuracies”. However the documents which were finally disclosed to CAJ after a 17 month battle show the reluctance of state agencies to hand over material, which could vindicate or rubbish the allegation of NIO interference. CAJ’s battle for access to documents involved protracted correspondence, which saw PONI first refusing to disclose documents under the Freedom of Information Act (FoI). Even with an Information Commissioner’s Office (ICO) adjudication in its favour, CAJ were only allowed limited access to material. In March 2012, as CAJ prepared to take what is thought to be one of the first FoI legal challenges of its kind in Northern Ireland, OPONI finally agreed to allow the human rights group access to documents relating to the appointment’s process. In an open letter published on its website this morning, CAJ Director Brian Gormally insists that the disclosed material sheds new important new light on the NIO’s real role in the ombudsman’s affair. “The serious questions we have raised about the independence and transparency of the appointment process shows its susceptibility to political interference,” he said. In the months that followed the CAJ report, two government-appointed reports were published into how the ombudsman’s office operated. The first, carried out by retired civil servant Tony McCusker, found there had been some NIO interference in the ombudsman’s office but concluded it was not “systemic”. The second, and ultimately more damaging report, carried out by Criminal Justice Inspector Dr Michael Maguire, concluded that ombudsman investigations had not only been altered to reduce criticism of the PSNI but that a lowering of independence inside PONI meant it should be suspended from investigating historic murders until key issues were addressed. Under severe public pressure, Mr Hutchinson announced he would leave office early. However the row over the findings of the CAJ report continued with the NIO. 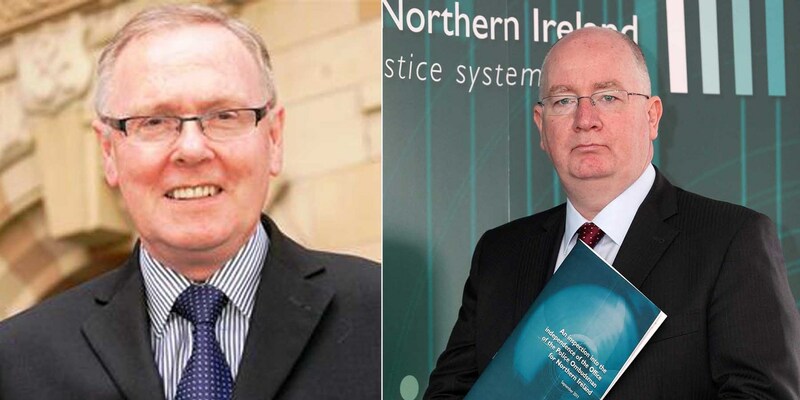 Earlier this year Nick Perry, who had previously been the former Director of Policing inside the NIO at the time of Mr Hutchinson’s appointment and is now Permanent Secretary at the Department of Justice (DoJ), used a speech at a justice conference in Belfast to reiterate his public rejection of the allegations contained in the CAJ report as “fundamentally incorrect”. But even before Mr Perry’s public rebuke of its report, CAJ had used the Freedom of Information (FoI) Act to request key documents relating to the OPONI appointment’s process be made public. PONI had initially refused to release the documents, claiming it was not legally obliged to disclose the documents to CAJ. However the documents were finally released in March 2012 just days before a CAJ appeal was due to be heard before a First-Tier Tribunal (Information Rights). 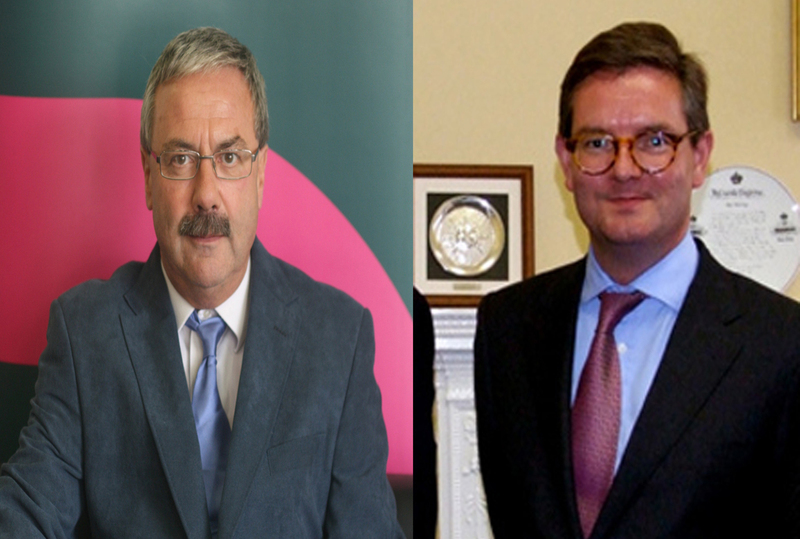 Now, in an open letter to Northern Ireland Office Director General Julian King, CAJ director Brian Gormally and the report’s author Mick Beyers say CAJ has found more evidence which they say “sets the record straight” and vindicates its criticism of the NIO’s handling of the ombudsman’s appointment process. The human rights group said that evidence from three key figures involved in the appointment’s process now proves its position and shows that the NIO had unfairly changed the job specification to favour applicants who had worked in Northern Ireland. “In preparation for our hearing before the First-Tier Tribunal we obtained witness statements from former Police Ombudsman, Baroness Nuala O’Loan, and the former chief executive Sam Pollock and an applicant who applied for the post in 2007 Mr Nicholas Long, Commissioner for the Independent Police Complaints Commission in England. When Mr Long questioned why he hadn’t been shortlisted for interview he said he was informed that the last minute change had been made by the NIO, and that he would have to raise the issue with civil servants as “they could do what they wanted”. Baroness O’Loan told CAJ that she had made “persistent attempts to have the matter of irregularities in the recruitment process addressed” by Justice Minister David Ford, Secretary of State Owen Paterson and his predecessor Peter Hain. One of former PONI chief executive Sam Pollock’s key criticisms was that the NIO had failed to carry out a proper vetting procedure into Mr Hutchinson’s past before he was appointed ombudsman. Under government protocols any new police ombudsman is vetted using the Baseline Personnel Security Standard (BPSS) and the higher security Developed Vetting (DV) procedure. The Defence Vetting Agency normally takes 95 days to carry out a standard vetting process of an individual. The process can be fast-tracked in emergency situations. Mr Pollock claimed that the NIO only began to seek vetting clearance for Mr Hutchinson one week before he was due to take up office. Mr Pollock reported that he was deeply unhappy when he received a “verbal clearance” from a DVA official, who said that Mr Hutchinson could be permitted to view sensitive PONI material. “Never again do I wish to be placed in a position of taking a person into this office without… an appropriate DV clearance. “Setting such a precedent at the highest level demonstrated a complete disregard for the regime of security checks so vital to the national interest and safety of personnel, most of all police officers, in this jurisdiction." IS NIO OPEN TO ACCUSATION OF POLITICAL INTERFERENCE? “CAJ would hope, and would regard it as a pre-requisite for a democratic society, that there is a solid and objective basis within the methodology applied by the vetting agency for approving or otherwise access to material. “The evidence obtained by us further clarifies that there were grave irregularities in the appointment of the second police ombudsman. “These irregularities raise serious questions about the propriety with which the Police Ombudsman’s Office was treated by the Northern Ireland Office. “We are conscious of the continuing controversy involving interference in two public appointments made under the tenure of former Secretary of State Peter Hain, in relation to Parades and Victims’ Commissioners respectively, which were found to be unlawful in court. The Northern Ireland Office was asked to respond to the criticisms contained in the CAJ letter, but had failed to do so by the time of publication.